This past weekend, @evleaks posted the above press renders to his Twitter account. 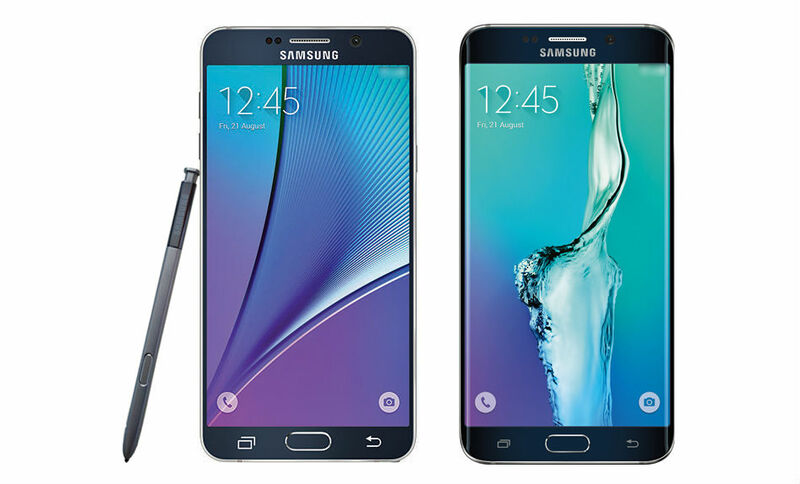 They are of the upcoming Galaxy Note 5 and Galaxy S6 Edge+. Not only do we get a solid look at what to expect from the exterior, but Evan also posted along a few specs for the Galaxy Note 5. According to the tweet, we may see the Galaxy Note 5 feature a 5.66″ QHD display, Exynos 7420 processor, 4GB of RAM, 16MP back-facing camera, 5MP front-facing camera, and run Android 5.1.1 at launch. One thing missing from the list is a microSD card slot, which aligns with previous reports we have posted. As we can see from the renders, the Note 5 looks similar to the Galaxy S6, but of course, is larger and features a S-Pen stylus. The S6 Edge+, on the other hand, is really just a larger Galaxy S6 Edge. We are coming up on August 13, the date Samsung has scheduled to unveil these two new devices in New York City. We will be on-hand in NYC to bring you all of the coverage.